The committee probing the SNC-Lavalin affair is holding an emergency session today on whether the former justice minister and attorney general should be recalled. The meeting was requested by Conservative and NDP members, even though the Liberals already have defeated a motion to invite Wilson-Raybould to return. The meeting begins at 1 p.m. ET and CBCNews.ca will carry it live. Conservative MP Pierre Poilievre said it’s crucial for the committee to hear from Wilson-Raybould again, given major discrepancies between her version of events and last week’s testimony from Gerald Butts, Prime Minister Justin Trudeau’s close friend and former principal secretary. He said Trudeau also must fully waive cabinet confidence and client-solicitor privilege so that she can give a complete account of what happened. “She says material events happened after she was removed as attorney general but before she resigned from cabinet. She said she wants to tell Canadians what happened,” Poilievre said. 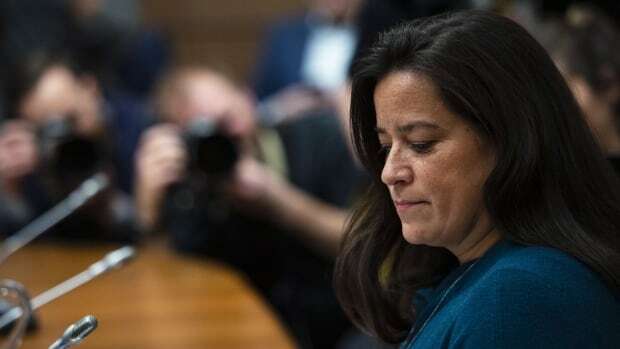 Prior to her Feb. 27 appearance before the committee, Wilson-Raybould had obtained a broad waiver from the Prime Minister’s Office that allowed her to disclose details of her conversations with government officials about the prosecution of SNC-Lavalin, a Montreal-based global engineering and construction company. But she told the committee that the waiver allowed her to speak only about her time as attorney general, leaving her constrained on what she could say about her time in the Veterans Affairs portfolio after she was replaced as justice minister and attorney general by David Lametti. She said she endured intense, sustained political pressure and veiled threats from officials in the PMO, the Privy Council Office and the finance minister’s office to overturn a decision by the director of the Public Prosecution Service to proceed with a criminal prosecution of SNC-Lavalin instead of inviting the company to negotiate a deferred prosecution agreement (DPA). A DPA is a legal tool similar that allows a company to avoid a criminal trial by admitting wrongdoing, paying fines, giving up any money it earned in the commission of a crime and agreeing to be monitored for a period of time. Wilson-Raybould also testified that she told Trudeau she believed she was moved from the justice portfolio because of the SNC-Lavalin matter. In his testimony before the committee on Mar. 6, Butts denied there was any inappropriate pressure imposed on Wilson-Raybould and said internal discussions on the SNC-Lavalin file were all above-board and part of normal government operations. “Either she’s lying or Trudeau’s lying, and I believe her,” he said. Parliament is not sitting this week, but the SNC-Lavalin controversy is still raging. On Monday, the Organization for Economic Co-operation and Development, the international body that oversees a global anti-bribery convention, issued a statement saying it is monitoring the political situation unfolding in Canada and it is “concerned” by claims the prime minister and his staff exerted pressure on the attorney general to defer criminal prosecution of SNC-Lavalin. It’s not clear if any of the Liberal committee members have changed their minds about whether Wilson-Raybould should be recalled to testify again, but they hold the committee majority and control its agenda. Liberal committee chair Anthony Housefather said today’s meeting will be open to the media at first, but he’s not sure if it will move behind closed doors at some point. “People can choose to vote to make it in camera at any time, it is up to the members. I will not speak in advance for what Liberal members each choose to do,” he said in an email. NDP MP Tracey Ramsey said Canadians are following the committee proceedings very closely. She said she believes any attempt to block efforts to hear further testimony from Wilson-Raybould could backfire on the Liberals. The NDP has been pressing for a public inquiry, while the Conservatives have been demanding an RCMP investigation and Trudeau’s resignation. Conflict of Interest and Ethics Commissioner Mario Dion also launched an investigation into potential violations of federal ethics rules in the SNC-Lavalin affair. On Tuesday, his office announced Dion is stepping away for a prolonged period for medical reasons, but insisted the work of his office will continue in his absence. Wilson-Raybould issued a statement last week saying she’s willing give additional testimony, answer further questions and provide more clarity. “I will note, as I indicated at the time, my statement to the committee was not a complete account but only a detailed summary,” she said. Last week, Trudeau blamed a communication breakdown and an “erosion of trust” between the PMO and Wilson-Raybould for the SNC-Lavalin matter.